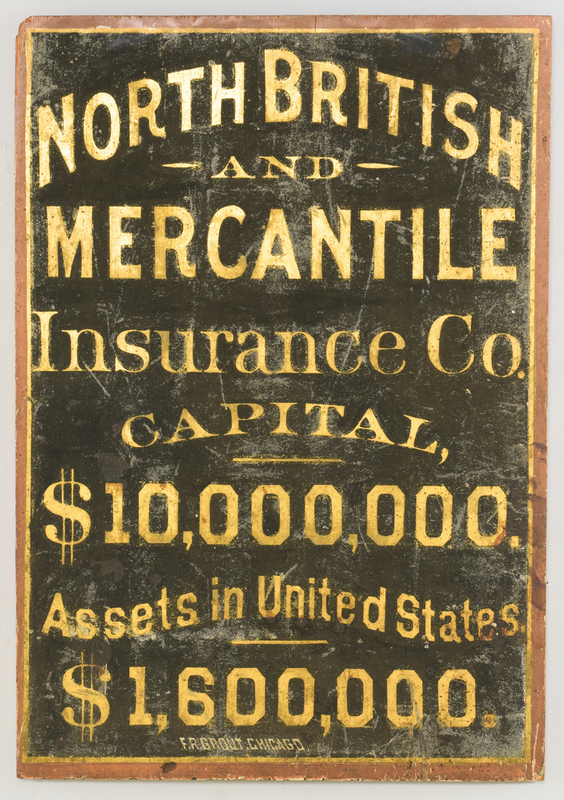 Chicago painted trade sign reading "North British Mercantile Insurance Co., Capital $10,000,000., Assets in United States $1,600,000." 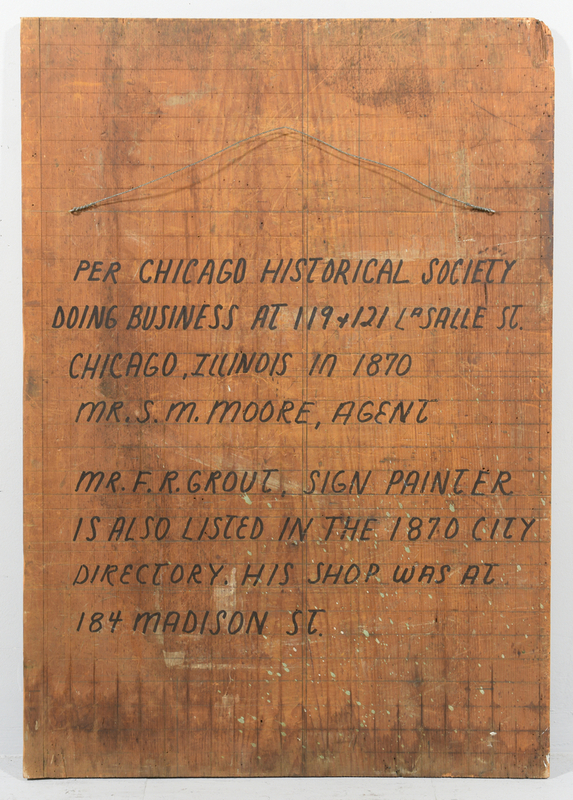 and signed "F. R. Grout, Chicago". Note: A F. R. Grout was listed in the 1872 The Monthly Business Directory of Chicago under "Painting–Ornamental, House and Signs" and is also listed in an 1899 Chicago, Illinois City Directory under advertisements for "Signs". An additional 1890 Chicago voter registration record shows his birthplace as Vermont. 32" H x 22 1/4" W. Also included with this sign is a framed Edward Lovejoy and Henry C. Foster stereoview of a Chicago street scene labeled en verso "Madison Street, West from State". A similar period sign can be seen on the building facades on the right. 7" H x 8 3/4" W. Circa 1880s. 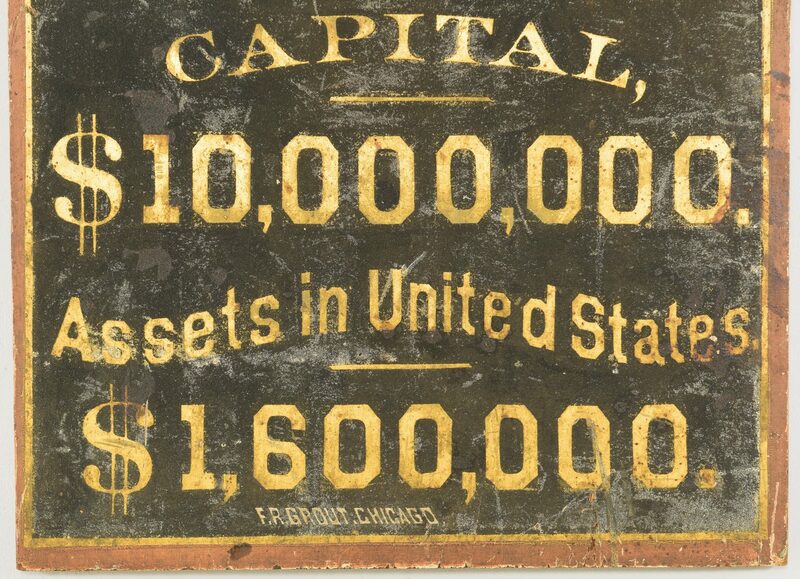 Provenance: Loudon, TN collection. 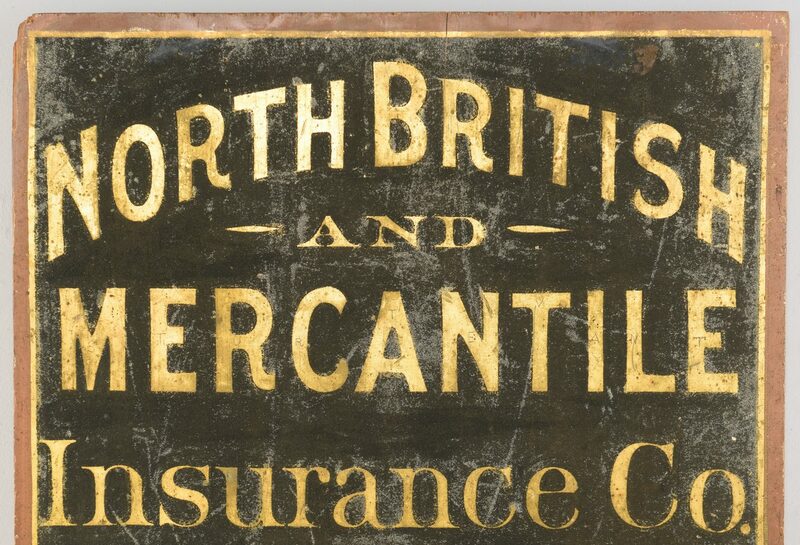 CONDITION: Some losses to edge of trade sign with general overall wear to paint.